STOW, OH – Sept. 6, 2013 – The new Sidebiter II Wheel is one of several new additions to Mickey Thompson’s impressive wheel line. 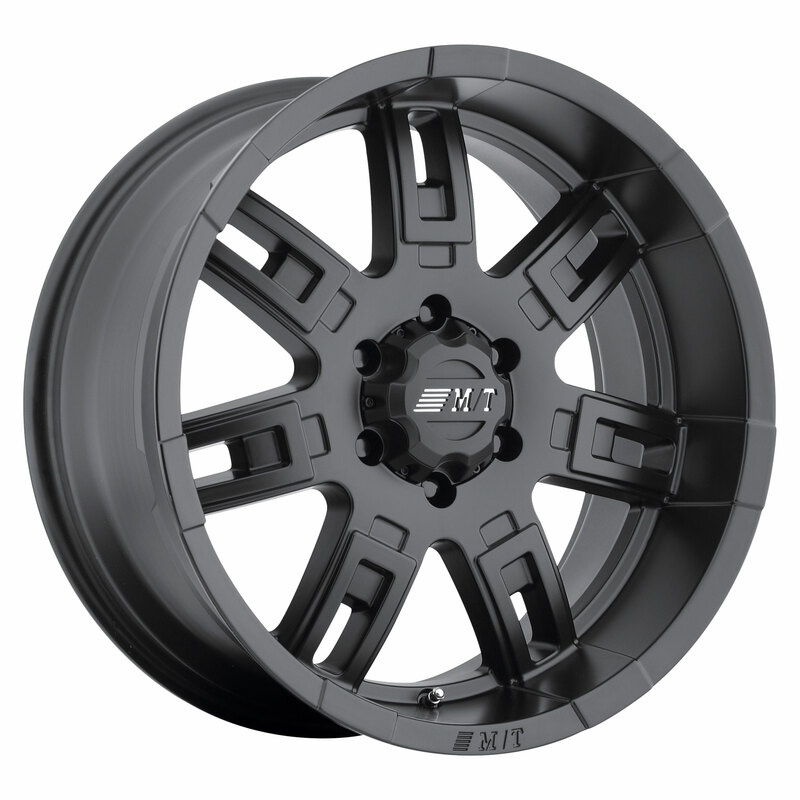 This tough, stylish wheel features the signature “Sidebiter” styling, a durable satin black finish, a seven-spoke design, and a new “pop-top” center with embossed center cap featuring the Mickey Thompson logo. Available in popular 15-, 16-, 17- and 20-inch diameters, the new Sidebiter II has a high load rating, a lifetime limited warranty for structural defects, and a one-year warranty on the finish. Scheduled for availability in late September, the Sidebiter II will be available for 20 popular fitments. For more information, visit http://www.mickeythompsontires.com/wheels.php?item=SideBiterII. To locate a dealer in your area, visit http://www.mickeythompsontires.com/locator.php. Mickey Thompson Performance Tires & Wheels markets racing and high-performance tires and wheels for street, strip, truck, and off-road applications. The company was founded in 1963 by racing legend Mickey Thompson and is headquartered in Stow, Ohio, USA. For more information, visithttp:/www.mickeythompsontires.com/.